What a charming way to welcome the audience! 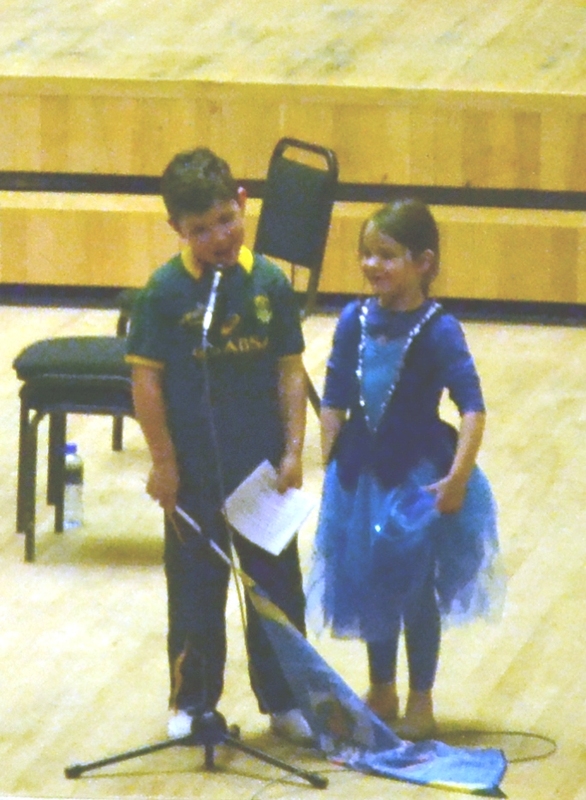 These charismatic kids owned the stage, Lia playing the national anthem, with António doing laps around the pianos with the flag, and this deliberately and literally set the stage for the release of the duo’s fourth CD as TwoPianists, in which playfulness and conversation are central themes. One had the impression of being invited into the home of an affectionate couple. The pianos were placed so that their curves fit, almost touching, with the front piano sharing the lid of piano behind for projection. Magalhães continued running with the theme of fun in his introduction, which would not have been out of place in a comedy club. The opening work was an apt demonstration of playfulness, with squashy harmonies that do not demand to be taken too seriously, although the work maintains a serious flow of modulations that is both sensible and lyrical. The TwoPianists seemed to be enjoying an amiable conversation, each contributing interesting and relevant input, where interruptions were tolerated and even acceptable. 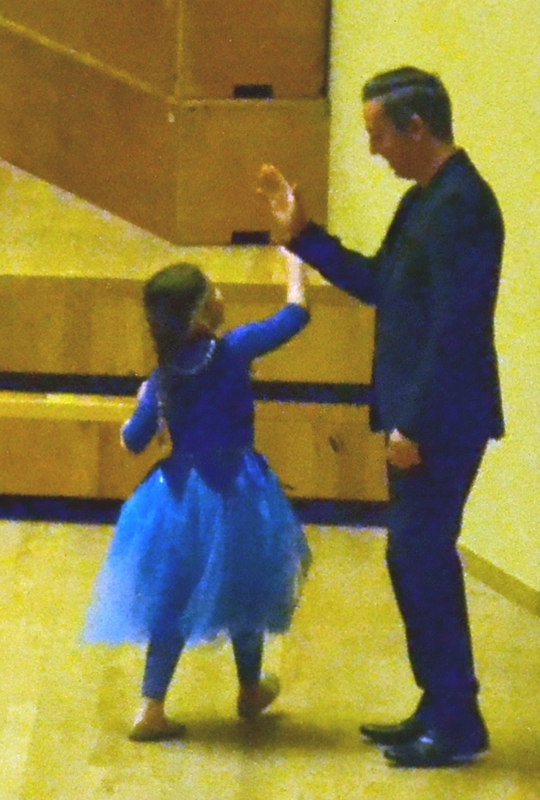 The pas de deux was sublime, Schumann’s sorrowful melody sympathetically supported by Magalhães, as if he was just listening, and acknowledging. The Galop was our first hint at the duo’s technique behind their fun, both pianists exhibiting a wonderful balance in their ability to lift melody from background. Delight, just delight. “Good for making babies”, according to Magalhães, Balcom’s Recuerdos showcases the duos ability for sudden dynamics, drama, lyricism, and precision technique. The Paseo began after a pause, without so much as the nod of a single eyelash, so in sync is this frequently tangoing duo. I enjoyed the interpretation of the Valse – magnificent waterfalls of shimmering chords, where the bars were stretched at the ends, suggesting the asymmetry of rhythm and the suspending dangling sound of pealing church bells. Always a little Mercurial, Magalhães the trickster downplayed the finale of the first half, telling us that they are both too old and their muscles don’t work any more, so they cant really play this piece. The ensuing performance was of course, mind blowing. It made me want to hear all my favourite works transcribed for two pianos and played by these two, and I am now convinced that I can not miss another performance by this duo. 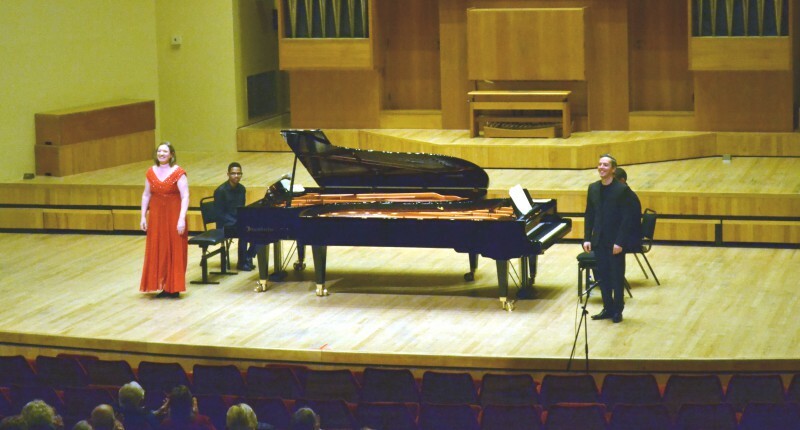 Besides being two of the most accomplished pianists in Cape Town, their presentation is fun and this program is extremely exciting. Peering into the deeper aspects of American music, we need not strain to see the ugliness of the invasion that spanned two continents, by mechanising, industrialising, segregating, dehumanising conquerors. Schumann introduced this work, explaining that many people enslaved were deafened by the machinery with which they worked. Flat hands, for-arms, and elbows convincingly describe the rhythmic cacophony of milling machinery. After the terrifying stamping and banging, a melody emerges through the foggy deafness of the fading mill sounds, a flighting bluesy ragtime spiritual that quickly becomes entangled and caught up in the machinery of the industrial revolution. The melodic emergence and re-entanglement is episodic, and finally becomes an unrecognisable over-blow of sound that fades into tinnitus. The work provides a necessary shadow to the otherwise mostly playful and upbeat compilation, exceptionally performed and creatively interpreted. I have more than once been scolded by listeners for playing Adams on FMR, but i can not understand why. It is not Beethoven, nor is it trying to be classical or romantic or baroque, or post or neo or any kind of reference. It is unashamedly modern in its depiction of life’s actual rhythms, which, although sometimes confusing, seem to synchronise if one has the patience to listen. Technically and chronologically, the timing of the work was exquisite. If one can forget the extent to which the piano is a percussion instrument, the final work on the latest TwoPianists CD is a reminder – the duo finding each others spaces and meshing into a fantastical fabric of exhilarating rhythms, syncopations, and rich colourful harmonies. 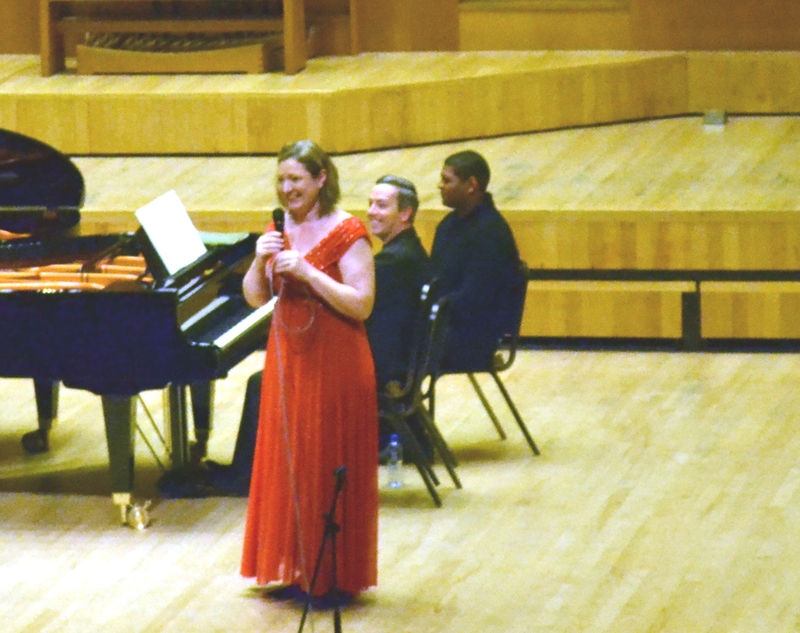 The encore was a teaser for the next TwoPianists CD, which will be only French music: the Poulenc sonata for two pianos. As Magalhães promised, it was a jewel. This entry was posted in CD Release, Classical Music Review, Concert Review and tagged #AndyWilding, American Intersections, Luis Magalhães, Nina Schumann, TwoPianists. Bookmark the permalink.